Getting to or from the Guadalajara International Airport (Aeropuerto Internacional de Guadalajara, airport code GDL), otherwise known as Don Miguel Hidalgo y Costilla International Airport (Aeropuerto Internacional Miguel Hidalgo y Costilla), is not so different than traveling to or from any other airport in most major cities in the world, but reading up on the additional information presented below will ensure that you are aware of all your options and will handle it like a pro even on your first time through. 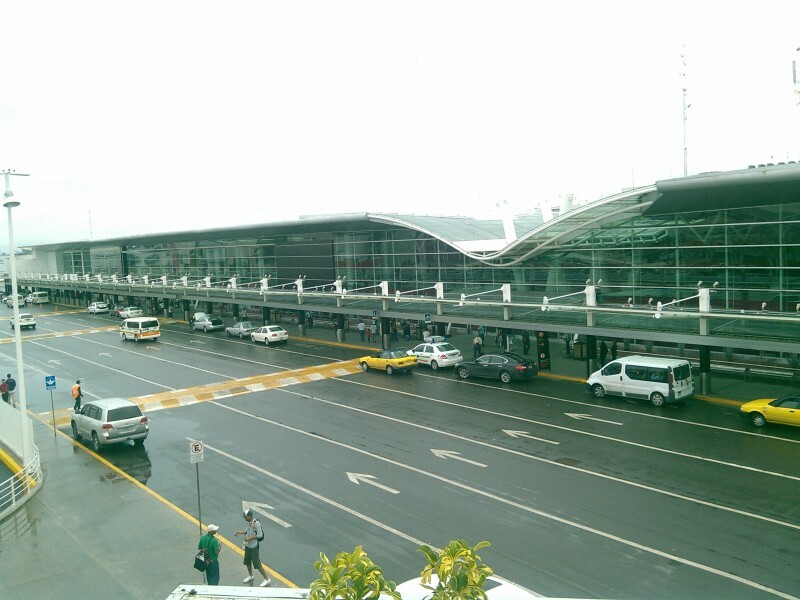 The most obvious (and expensive) means of getting to or from the airport is by taxi. Probably no surprise there. It is also extremely convenient and comfortable if you are traveling with several pieces of luggage. 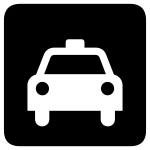 Your taxi experience starts with a stop at one of the taxi kiosks that you will notice outside the exits from baggage claim, immigration, and customs services (but still within the airport). They are located at either end of Terminal 1. It is at one of these kiosks that you order your taxi ride. The prices are fixed. You provide the address or place (hotel, house, business, etc), and they charge you accordingly. It is helpful to know the neighborhood (colonia) where your destination is located, and any major streets it is near. With this in mind, you may want to glance at Google or Bing Maps before taking your trip and jot this info down, then have it out and handy when you go to order your ride at the stand. Upon paying (at last check prices were $330 MXN for a ride to the heart of the city), you will be given a printed receipt. Take this receipt with you as you go out to the sidewalk and find the line of waiting taxis. There should be an attendant to direct you to the first available taxi at the curb. Keep in mind that you may need to clarify now with your driver the exact location of your destination – again, have the information on the colonia and any nearby major streets handy. Don’t expect the taxi drivers to have GPS units in their cars. If you, on the other hand, have a smartphone or tablet with international cell service, this may come in handy to help your driver get you to your destination if you’re going to a less common part of the city. Taxi companies pay fees for the right to take you from the airport to the city. 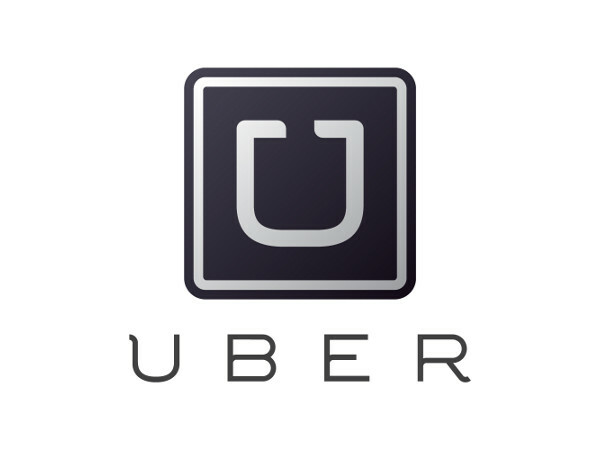 This means that you will be getting a ride in a taxi from a company that has been sanctioned to provide this service. Do not just hop in a random car that looks like it might be heading your way. For a ride back to the airport, contact one of the following taxi companies. The cost should be essentially the same if maybe even a tiny bit less (at last check from the heart of the city back to the airport, they were running $300 MXN – $330 MXN). (if you’re dialing from a cell phone from your home country, remember to dial +52 before the 33). (again, if you’re dialing from a cell phone from your home country, remember to dial +52 before the 33). There are many reasons to take a bus over a taxi, especially if you don’t have a slew of suitcases to contend with. Not only do you save money, most importantly, but you also may see more of the city on your ride in, plus you put yourself right in the mix. There are two bus options, in effect. One is the more direct express route to the Central Vieja, or old central bus station in the heart of the city. 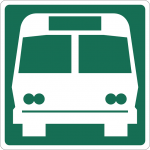 The other option is to take a normal city bus to El Centro, or city center. Board either bus from the back of the Terminal Terrestre (the ground transportation terminal), which is at most a 10 minute walk from Terminal 1 and a 15 minute walk from Terminal 2. You can also wait for the buses to come to Terminal 1 (the stop is kitty-corner from it) but by the time they get to that stop there are usually no more seats remaining and they have already become quite full with airport employees and other travelers. The walk can earn you a seat, in other words. Pay upon entering the buses. Express Route Option: This will run you $12 MXN per person as of the printing of this article. 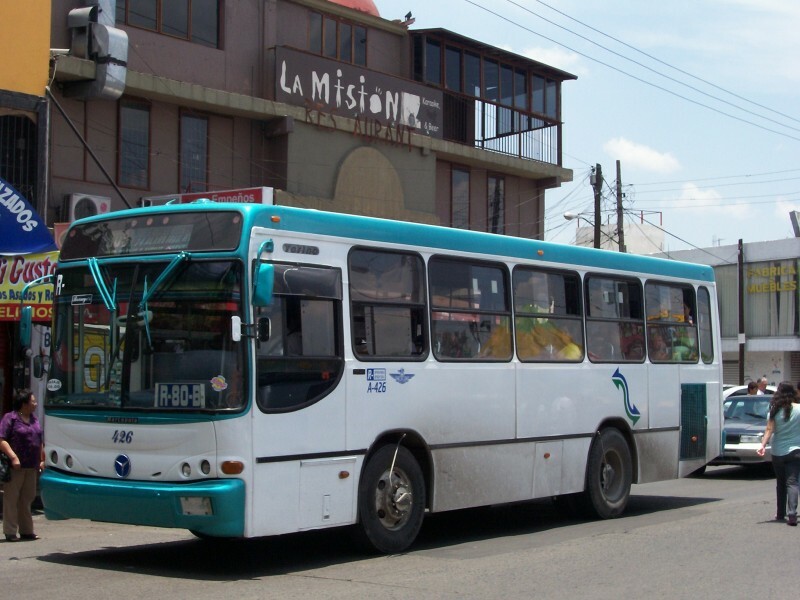 Look for a Chapala Line bus – it should have Chapala written on the sides. On the front windshield, look for “Central Vieja” to be listed. The last stop for this bus is the Central Vieja. From here you can walk, catch a city bus on one of the neighboring streets, or take a taxi to your final destination. City Route Option: This will cost you only $6 MXN per person as of the printing of this article. Look for a bus with “El Centro” written on the front windshield. This bus will also differ from the express bus in that it will not be a Chapala Line bus. You’ll have to endure many more stops along the way to the city so count on a longer travel time for saving 6 pesos. 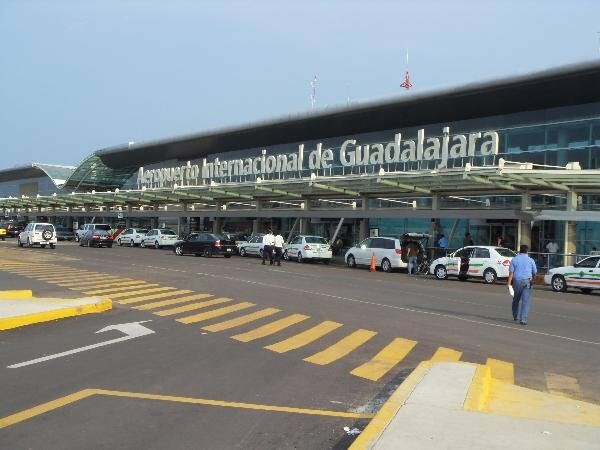 Just as you can take an express or city bus from the airport into Guadalajara, so you have the same options when returning to the airport. 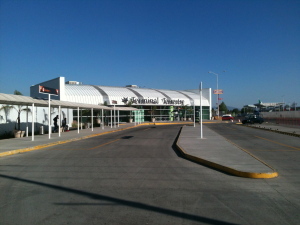 Express Route Option: You can catch an express bus back to the airport from the Central Vieja. Again, look for a Chapala Line bus. Ask at a counter inside to find out which bay the latest one is leaving from. They depart every 20 minutes or so. Cost is the same at $12 MXN per person. No need to buy a ticket, just pay your driver. 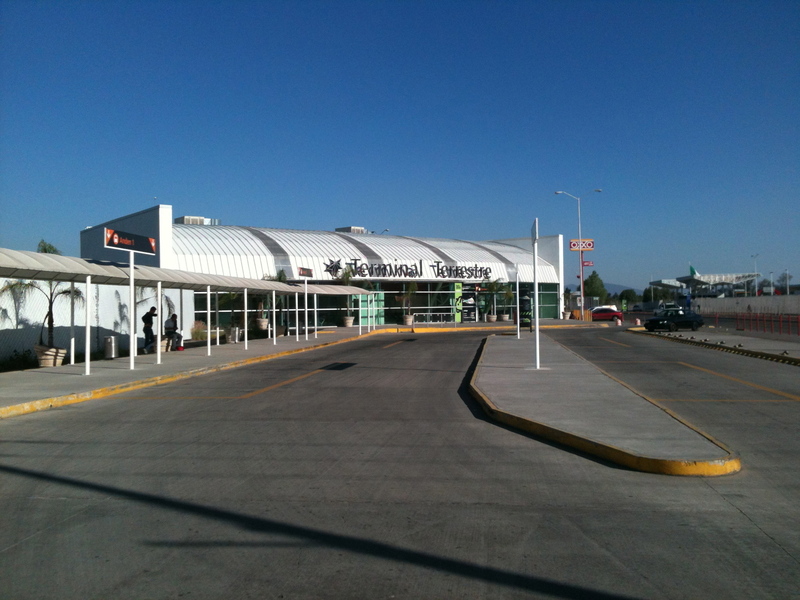 An express bus also leaves from Autotransportes Aeropuerto, A. Diaz De Leon 954, every hour on the hour from 5AM to 9PM, Monday through Saturday. They (and we) recommend you show up at least 15 minutes early. City Route Option: From the city center where los Dos Templos (the Two Temples) are located, take the 176 heading to the airport. 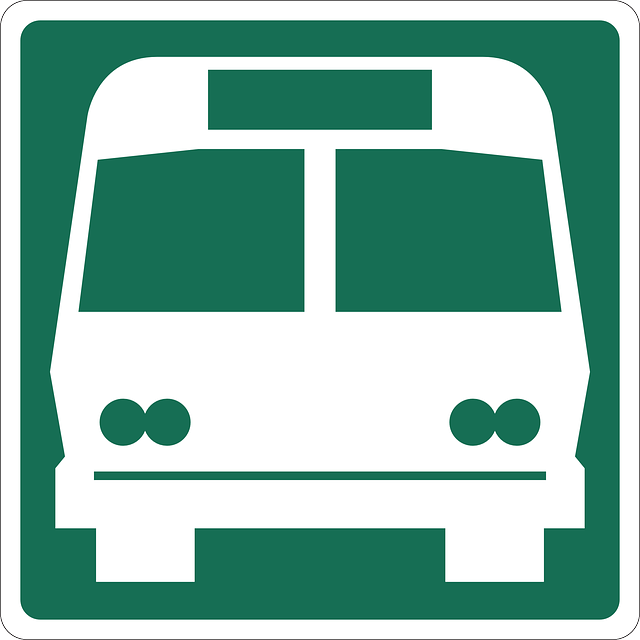 Look for something like “Aeropuerto” written on the front windshield of the bus or inquire with the driver. One final option is to travel by shuttle. Some hotels, especially the chains based in the United States with locations here in the center of Guadalajara, offer shuttle service. Inquire with your hotel ahead of time. Otherwise, Shuttle Gdl (Transportes Terrestres GDL) offers shuttle service to and from the airport at a cost of $80 MXN per person one way. There is no need to reserve your spot on the shuttle, but you certainly can by calling them at 36-15-28-55 or 36-15-85-33. You may want to do so anyway to confirm departure times to or from the airport. The shuttle passes by both terminals and takes you to their city office at Avenida López Mateos Norte #337-B at the corner with Avenida México. At the airport, it looks as though you can purchase your ticket inside Terminal 1, according to their Twitter feed. As for getting back to the airport, they depart for the airport from this same office. From what we can tell, on weekdays they depart from the airport for the city office every hour starting at 6:30AM until 11:30PM. They depart for the airport from their city office every hour starting at 5:30AM until 9:30PM. On the weekends, it appears that their schedule is abbreviated to wrap up by 5:30PM. Finally, ATASA may offer shuttle service as well, not just taxi service. Inquire with them at the phone numbers provided above under the taxi section. Have another tip on getting from or to the airport in Guadalajara that you’d like to share with us? Leave a comment!